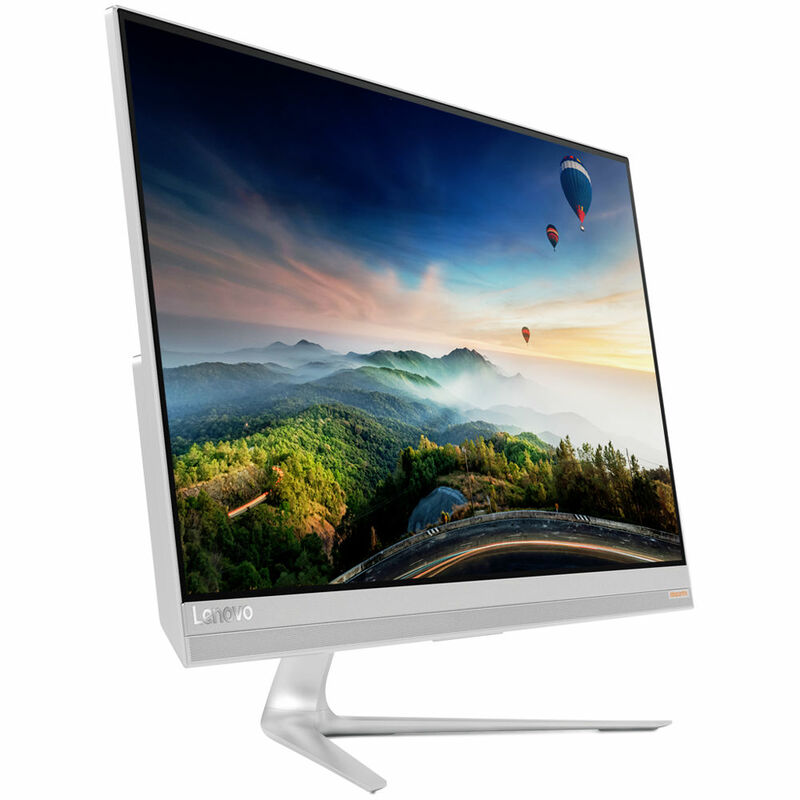 The 23" Ideacentre 520S Multi-Touch All-in-One Desktop Computer from Lenovo is a compact system with a small footprint thanks to its built-in touchscreen display. Measuring 23" diagonally, the screen has a 1920 x 1080 Full HD resolution and is driven by integrated Intel HD graphics to provide you with crisp and clear content reproduction. With touch support, you'll be able to utilize touch gestures and commands within Windows 10 to enhance its efficiency and accessibility. Moreover, it also has a combination HDMI Input/Output port, which you can use as an output to connect an external display for enhanced multitasking and larger viewing or as an input to use the all-in-one as a display for an external video source. Specs-wise, it's equipped with a 2.5 GHz Intel Core i5-7200U dual-core processor, 16GB of DDR4 RAM, and a 1TB 5400 rpm hard drive. Should you need more storage space, you can attach external storage solutions using its multiple USB ports. Due to its space-saving design, an external SuperMulti DVD drive is included rather than built-in for you to read and write optical media. Other integrated features include 802.11ac Wi-Fi, a Gigabit LAN jack, Bluetooth 4.0, a webcam, speakers, microphones, and a mic/audio combo jack. The operating system installed is Windows 10 Home, and it comes with a wireless keyboard and mouse to help you get started. Box Dimensions (LxWxH) 26.0 x 20.0 x 8.0"